Remembering a statement that our Pastor Emeritus has made in my hearing literally hundreds of times when he prays, “with Thanksgiving”, it triggered the two work reversal. Sure enough when looking it up in the Bible, the “thanks” with “giving” provided the verses for this Series with some WONDERFUL reading throughout the Bible. Seventeen (17) passages of Scripture were chosen for this Series to capture some of the many reasons we should be Giving Thanks unto God The Father for His Mercy, Kindness and Grace shown towards us. We definitely don’t deserve anything we are given and should really understand that it is by God’s Grace, Mercy and Provision that we have any of what we have today. These images attempt to captivate the attention with God’s Creation so that we might spread God’s Word all around. 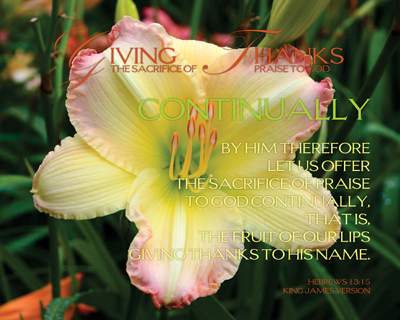 We are to be “Giving Thanks Continually” in all that we do, go, see, speak, help… The list goes on and on – so do the reasons we have to Sing God’s Praise! May we each be found Giving Thanks for the many reasons He gives us to do so, no matter where we find ourselves! Honestly, this Series began rolling around in my head upon seeing something not “spiritual” at all – it was an advertisement for backup generators in a local ad circular for a hardware store. The process of thinking on building another generator immediately brought to mind a hymn “Power in the Blood of Jesus” by Barney E. Warren, written in 1926. How would this apply to us? We should never do anything, whether that be secular or spiritual, without considering where we get our abilities from – period. Do we honestly focus on Who’s Power it is that we are relying on to do even the most basic of things? If there were a shortage of oxygen, we’d be in BIG trouble, fast. Should there not be a signal going from our brains to our heart, it would cease to beat, causing life to become much shorter than we’d like. Those two things are not something we think about for the most part, they are an expected thing for us – that we have air to breathe and that our heart beats like it is supposed to beat. As Christians, there are some built-in items also, which depend on us as to how well they are met and maintained. The indwelling of the Holy Spirit in each one of us will cause us to view the world differently. As we become more aware of just how different we are to be, there will come a desire to be a witness for the Lord and what He has done in our own lives. Following through with our commitments to Him is what turns a Promise (His actually) into a Reality (what others see in us) that anyone can see – whether they are a Christian or not. 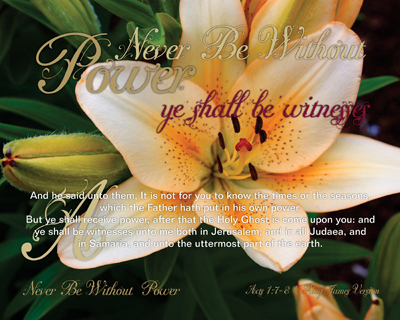 What will we be doing today that can only be done in His Power? None of the flowers chosen for this Series would look as they do if it had not been for God’s Provision, how is it we would even begin to think we would be who we are without… Today I pray for each of us that as we set about doing this day what sits before us, that we would consider in each and every action Who gave us the ability to do so and how we are to accomplish each thing. As we share the Gospel, teach a Sunday School class, respond to events in our lives, care for others, represent ourselves in the workplace, be the member of the family we should be – that we’d do so knowing that the work we do represents our Lord and can ONLY be done for Eternity sake in His Power. The following list of items are things that we should Never Be Without Power in considering at any time in our lives. Each of the items in this list should be areas in which we seek to do and to get to, for we can only see, achieve and live those through the Wonder Working Power of the Creator of Everything, God Himself. This Series began to come together in a struggle time for me, one that the God of Creation used to help Encourage me through a severe pain management treatment while in the hospital as a result of my Cluster Headaches. The story in the life of Luther Bridger and the writing of “He Keeps Me Singing”, was shared in a book entitled “The Burden Bearer” by Dr. Paul W. Chappell. Luther wrote the hymn shortly after losing his wife and children (three boys) in a house fire at his wife’s parents home in Kentucky during the year 1910. Through our challenges, difficulties and trials, we as Christians become ready reflectors of the Grace, Mercy and Peace which the Holy Spirit is the conduit, as God the Father gives them to us as we endeavor to serve Him. May we never forget that others are watching carefully every action we make, each step that we take and what all we do for His sake. 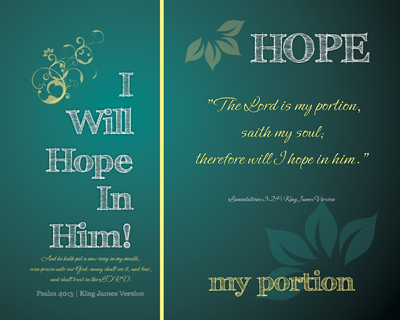 There are a total of fifteen (15) prints, in two different categories, Hope and Shadow, which showcase God’s Word for us to see each of them being given to us. May each of us consider the placement of our Hope and Who’s Shadow we decide to abide under! This “Live In Peace” Series is a daughter Series to “If It Be Possible” completed just before this one was created. 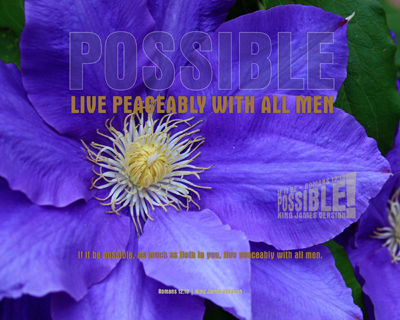 During the review of the word “possible”, the word “Peace” came into view very strongly. Each of these “Peace” discoveries speaks of how God the Father and our Saviour Jesus Christ equips us for so many different situations and circumstances. The starting verse of Scripture for this Series comes from II Corinthians, speaking to the church in Corinth, gives us solid direction as to how we should live. It is a promise of God’s Presence with each of us that love the God of All Creation and are willing to have the Mind of Christ toward those where we are placed and live out our lives. We have all the Promises in the Book of Ages which is preserved for us in this day and time – God’s Holy Word. By us being at peace with Him, we can have that Peace (that He Alone can supply) with others because we personally know how that works ourselves. 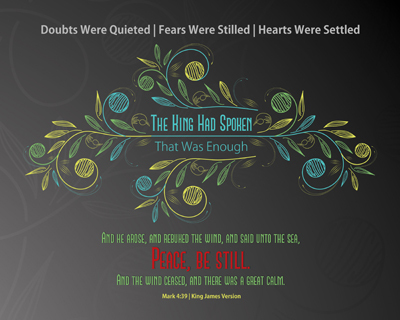 The following Scripture areas are presented in this Series. 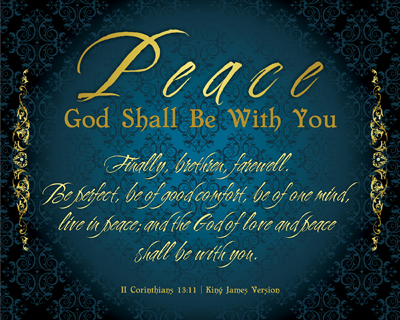 What an incredible Promise we have – that God will be with us and that we can indeed live in peace! When revisiting this Series, it was not known that it would be the answer to a real and present struggle that is being lived out in my own life. 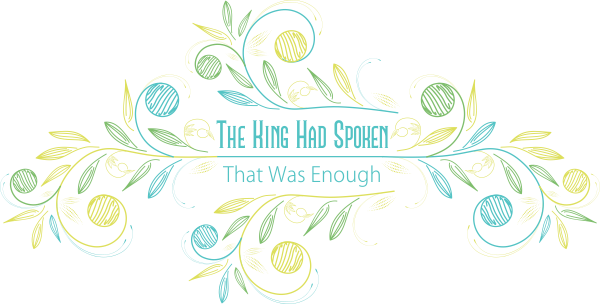 To my pleasant surprise and Encouragement it allowed me, in over 600 verses of Scripture throughout the Bible, to see that the difficulty being had is an age old one and is not uncommon amongst God’s people. It is always good for each Series to have some application, but it makes it EVER more satisfying and worth the hours of work when it helps me in such a profound manner. This Series came about in my mind from one of my favorite traveling evangelist families with RoundUp Ministries, the Walker’s. Ms. Loretta is about as down to earth as anyone can be and puts it right where it should be when talking about difficulties and challenges. This one came from a Ladies Conference she was attending and her discussion on on “I Am NOT Compatible!” and her explanation that it is “Scriptural” To Be Different. She explained that we should “respect each others opinions and have discretion” about expressing ours in response. The particular verse that grabbed my attention is from Romans 12:18 | KJV which is depicted in the very first print in this Series. There are plenty of things that we are challenged by in any given day just per the usual of us existing in the world, but we should have our minds made up and our hearts set to what is “Possible” with God. There are going to be those who will hurt you and will continue to do so, even when we’ve done all we can to prevent it. Those are things we cannot change – we could not change them even through every capability we “think” we have. I have a few of those that are played out right in front of my face more frequently than is desired. Oftentimes there may be a difference of opinion stated, or maybe even a direct conflict in what is being presented, because it simply “exists” can make the situation either sour or not so good. As can be even more of a challenge is when an individual has limited exposure to this or that and there is a “bent” out of shape anvil event where more than a difference of opinion becomes real noticeable. For me, those are very difficult to deal with – some of that is due to the line of work done over a career of working for those who are in disaster recovery mode. It can be VERY nerve racking dealing with folks who know they’ve lost both money and data due, most of the time, to carelessness of their own making. We must find that place in our hearts and lives to determine that each of us, by the enabling of the Holy Spirit, will make each step that we take in our lives one’s that show forth the Love of the Saviour. The nine (9) areas to follow are manners in which there are direct helps in the Bible that challenge us to allow God the Father to do the Possible according to His Word, not in our limited manner, but rather in His Power – lived out in each of us daily according to His Will, not ours. These nine (9) different Scripture presentations that are possible, only with God Power, will be life changers each time we make application of them to and in our own lives.